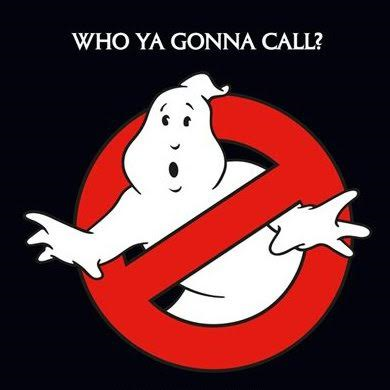 Columbia Pictures and director Paul Feig are rolling out a reboot of “Ghostbusters” in July 2016, and the project is generating some solid buzz so far. Most of the conversation at this point centers on the decision to re-do the Ghostbusters concept with an all-female cast (or at least an all-female ghost-busting squad). Kristen Wiig, Melissa McCarthy, Kate McKinnon, and Leslie Jones will make up the core, and yes, you may have noticed that there’s a distinct “Saturday Night Live” flavor to the group. That’s a fairly encouraging detail given that “SNL” has maintained a certain characteristic charm over the years, and the core of the original film consisted of “SNL” stars like Dan Aykroyd and Bill Murray. But a funny cast is no guarantee of a funny film, or of one that will be worthy of the original. We won’t know until next summer if this movie will meet those descriptions, but in the meantime fans have a number of particular hopes and ambitions for the reboot. Here are five of them. “Ghostbusters” was one of those projects that succeeded largely because of its cast, and it may well have flopped completely in different hands. It was also an instance in which the actors and actresses involved quite clearly had a blast making the film, so it’s only natural that most of the key players have at one time or another expressed an interest in appearing in the 2016 version. Feig recently revealed that Sigourney Weaver signed on, and evidently she’s joining Aykroyd, Murray and Ernie Hudson for expected cameos. There’s no telling how big their cameos are, but here’s hoping it’s more than a wave and a smile for all involved. Look back at the history of “SNL” stars in film and there’s a pretty mixed bag of success and failure. Sometimes, it comes down to something this simple: these people are hysterically funny, but they’re used to quick skits and improvisation. Acting in a scripted movie naturally takes away some of their natural impact and makes them conform to a new style. The best thing we can possibly hope for in the “Ghostbusters” reboot is a script worthy of the talent involved. Feig and Katie Dippold are on the job. Sure, he turned into marshmallowy rain in the end, but the Stay Puft Marshmallow Man towering over cities in a Godzilla-esque fashion is one of the great enduring images of “Ghostbusters.” He’s somehow managed to stick around in the many years since the movie, including in video game appearances in the ’80s, ’90s, and even now. Gala’s mobile offerings, which you can see here, features a number of themed slot machine and arcade games, and the collection includes a Ghostbusters game with Stay Puft right on the cover. Within the game, the iconic Marshmallow Man and other characters from “Ghostbusters” replace common slot machine symbols. Appearances like this show just how much this absurd character has come to represent the film series, and he’d be fairly easy to resurrect for the reboot. The focus is rightfully on the ladies taking over as the Ghostbusters squad, but the idea of Chris Hemsworth taking over as a male version of Annie Potts’ Janine is pretty irresistible. And if the idea alone isn’t enough, this report showing a first glimpse of Hemsworth in the role is pretty much solid gold. Let’s hope he gets to goof it up for a decent amount of screen time. This one goes without saying, but above all else fans are hoping that 2016’s “Ghostbusters” is worthy of kicking off a new line of sequels. The film is almost certain to draw a fairly major audience given the popularity of the original, so perhaps sequels are already more or less guaranteed for financial potential. But the best result of the release would be if fans enjoy it enough to actually want a sequel. As of now, “Ghostbusters” is set for a July 15, 2016 release. That can always change by a few weeks between now and then, but regardless of the specific date it’s bound to be one of the major titles of the summer.